How many Virtual Console games have te bought? Do te Play più Gamecube Games o Wii Games on Your Wii? Do te think the Wii-mote uses up batteries very quickly? What happens when te insert a Wii game disk into your computer? ciao guys ,my wii's modded..So can I get internet connection on wii ?????? grab a propeller mushroomto transform into propeller mario and launch into the sky.find an ice fiore and turn into ice mario press 1 to throw an ice ball and freeze enemys in thar tracs.penguin suit is not like the others it has multiple powers ,ice balls slideing on belly.u can never under estemate mario he and luigi have ben around for years. Ah, Nintendo, one of my preferito memories of childhood. If you've read my articoli then te know that I obsess over EVERYTHING and video games is one of them. RPG's especially because a good story that te get to play in is just awesome and Nintendo never let me down in the past. But has it now? Gamecock Media Group announced today that Blazing Lizard's Pirates vs. Ninjas Dodgeball will release on Wii this winter. The titolo features two ancient rivals, ninjas and pirates, along with several other teams, all looking to settle the score once and for all - on the dodgeball court. "The competition between the Pirates and the Ninjas is so huge that battles are breaking out all over," detto Harry Miller, El Presidente of Gamecock Media Group. "We're happy to bring this grand conflict to the Wii, and give players the chance to help determine who the ultimate champions are." Created da Team17; Worms SO is a bit of an odd addition to the Worms series, but that doesn’t stop it from being a good game. As far back as I can remember Worms games have never really had stories; WSO made a little bit of effort to set the scene, but didn’t try to force it like the Sonic series has done recently. As te progress through the Story Mode te will gain new flags, voices, heads, graves, cutscenes and a mini game which te will have to complete at the end of each planet. a comment was made to the poll: How many Virtual Console games have te bought? a comment was made to the poll: Do te Play più Gamecube Games o Wii Games on Your Wii? a poll è stato aggiunto: Do te Play più Gamecube Games o Wii Games on Your Wii? a comment was made to the poll: How do te usually play your Wii? 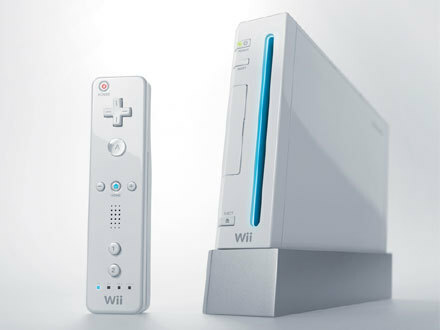 When the Wii was in early production, what was it's code name?